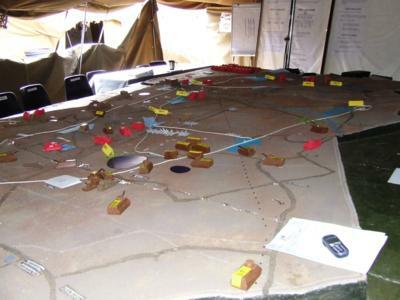 The South African National War College (SANWC) is taking a leading role in the execution of the second Combined Joint African Exercise (CJAX) 2011 as part of the South African National Defence Force’s commitment to greater integration within African Union (AU) and Southern African Development Community (SADC) military structures. Officers from the Botswana Staff College, Namibian Military School, Zambian Staff College and South African National War College are studying the planning and coordinating of complex multinational peace support operations. CJAX 2011 follows hot on the heels of SADC air forces humanitarian assistance training endeavour, Exercise Blue Cluster. Nine of the SADC’s 15 member states participated in the exercise held in the north-east of South Africa last month. It was the latest in a string of joint and multinational SADC compatibility, interoperability and capability-building exercises held since 1997, when the inaugural undertaking, Blue Hungwe, was held in eastern Zimbabwe. Exercise coordinator Brigadier General (Brig Gen) John Bayne said the training was run in accordance with an approved SADC doctrine for humanitarian assistance and disaster relief. As such, it focused on humanitarian support during a peacekeeping/peace enforcement exercise. Bayne added that the exercise also allowed for the further development of a SADC multinational air power doctrine, a first draft of which should have been ready to accompany participating forces home over the weekend. It is hoped to have it approved and in effect before the next SADC joint force exercise.